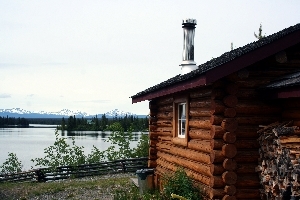 Stewart’s Lodge & Camps offers you the opportunity to enjoy daily fly-out service from the main lodge on Nimpo Lake. Whether you fish, hunt, canoe, hike or kayak, there is an adventure waiting for you! We have boats and motors on over 25 different locations for you to choose from. Wild rainbow trout are easily caught by wading the streams or trolling and casting in the lakes. The stillwaters, rivers and creeks are so numerous in the West Chilcotin that anglers can fish to their hearts’ content and never have to cast over the same water twice! Daily fly-out pricing and details. All services such as meals, orvernight stays, boats, flights, etc can be ordered as separate items, rather than part of a set package and in addition to set packages. View our a la carte rates on our Chilcoton Holiday Rates page. 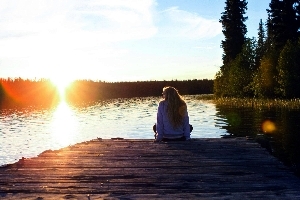 Stewart’s Lodge & Camps offers you the opportunity to get away from it all. 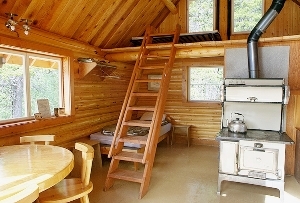 Stay for one night or multiple nights on Nimpo Lake or at one of our Chilcotin wilderness outpost locations. Rustic log cabins with first class provisions, linens and cooking facilities; boats, motors, fuel and life jackets / cushions provided. 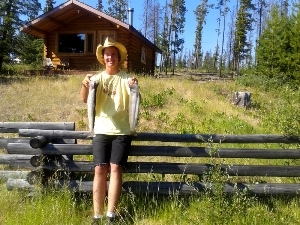 The cabins are accessible by floatplane with a variety of fishing for WILD rainbow trout to 5 pounds! 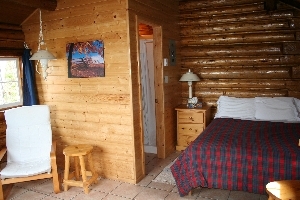 Log Cabin rates and pricing information. ….very knowledgable and was very accomodating and flexible when finding the best solution for our backcountry trip to Turner Lakes. Consider a hike, somewhere on the West Chilcotin Plateau to see the beautiful flowers and berries of the alpine such as wild strawberries, blossoms of Kinnikinnick and purple Douglas’ Asters. ….stayed at both the main lodge cabins and also one of their remote cabins for a few days and it was the highlight of our trip around British Columbia. Join us this season for a WILDerness adventure from the shores of Nimpo Lake. We look forward to seeing you here!